Thinking of where to prioritise your budget spending? 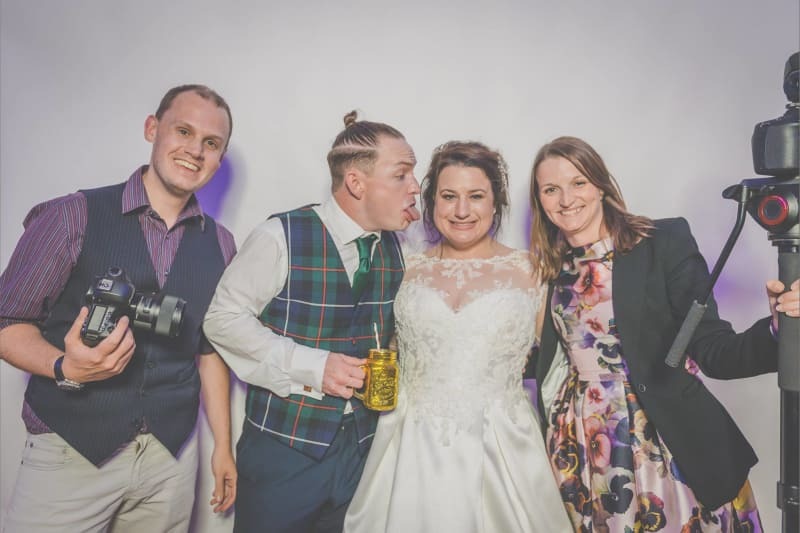 Bridebook’s Wedding Videographer of the Year 2018, Veiled Productions, shares their 5 reasons to say ‘i do’ to wedding videography. 1. See what your guests (and your husband or wife to be) get up to throughout the day. If you follow the tradition of not seeing each other on the morning of the wedding then having a video allows you to experience and share those moments together after the big day. Experiencing the nerves, the excitement and the guests arriving on film kick starts your day’s journey. One of our past couples said that one of their favourite video-moments was during the ceremony – one of their page boys was running up and down the aisle having the best time! His poor Mum was trying to catch him and the couple had absolutely no idea what was happening until they watched their film back – there were a lot of laughs. Your guests can get up to mischief too. We capture just that. Every laugh, every tear, every dance move, every glass of wine – your guests experience your day and take in your emotions. Your wedding video captures the events you miss and helps you re-live their day as they live yours. If you have a professional videographer filming your day then you can count on quality. Yes, your friends can film it on their phones or a family member may have a camcorder they think is great, but I can assure you it will not be the same. Professional videographers are trained, not only in their profession but also in using the highest-quality equipment. Imagine your vows and speeches missing the ‘I do’s’ and those laugh-out-loud jokes – a nightmare, right? Your videographer will capture those crucial part of the day with equipment that’s made for creating beautiful, crystal clear footage. Lighting is also a key component to great videos. If your venue is dark or if the light changes throughout the day, professionals have the kit to continue filming no matter what the weather or setting. And the best bit? Your footage is edited to tell a story which makes you laugh and cry tears of happiness (I’ve joked with past couples that I’m probably one of few people in the world who are happy when their clients cry!). 3. Share it with those who missed it. Sadly, there will always be members of your family or friends that cannot make it on the day. I’ve often heard family members say how much they love the video because they got to relive their experience with those they love and that they really feel like they were part of the day. The time you spend having photos on your own is lovely and obviously, it would be a bit weird if you’re friends and family came with you on the day! However, seeing how happy you are and watching you together after the day will mean just as much to them as it does to both of you. We describe our style of filming as ‘from the point of view of a guest’. For anyone who wasn’t able to attend they can watch it back as though they were there on the day. We don’t do anything staged, posed or cheesy. 4. Relive your day, any day. I don’t know about you but I love watching old family videos back. Us as kids being silly or naughty, it’s great to watch. My younger parents and grandparents looking after us and celebrating family events – it’s truly wonderful. It’s especially meaningful now that some of those loved ones are no longer with us too. Hearing their voices, laughter and seeing their smiling faces is priceless. A fellow wedding supplier Shelly from La Belle Cake Company had her wedding filmed 20 years ago and says the same thing “I adore my wedding video. 20 years on I still watch it. To me, it is an essential, not a luxury. Best thing is I get to hear the voices of those who a sadly no longer with us.” Seeing your families and friends having a wonderful time on your wedding day in 20 years from now will mean so much to you and also tells a story for future generations to come. 5. (Trust us) You won’t regret it! 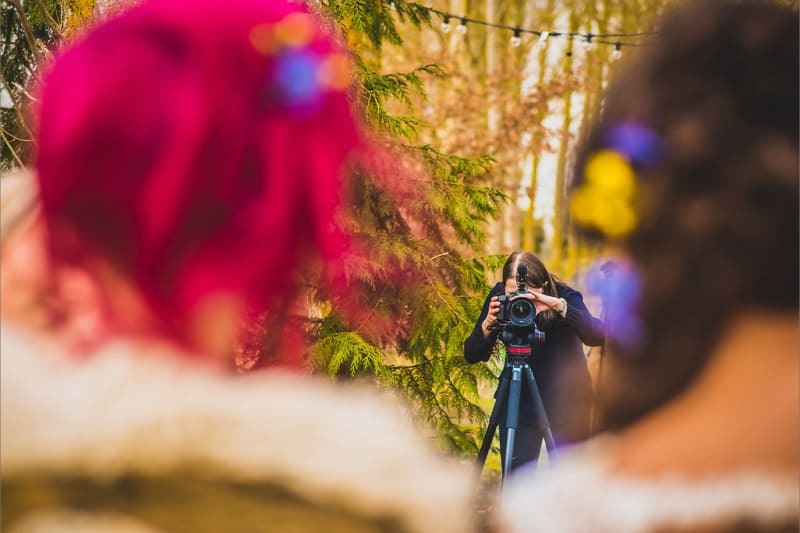 It may seem like a lot of money in an ever-increasing budget but your wedding video lasts forever and we promise you won’t regret spending the money. The day goes by so quickly and after months of planning having a film to watch back every moment is priceless. A past couple of ours said they woke up the morning after the wedding and said “I’m not sure I can remember it…the whole day is a blur!” Having the video meant they could watch it all back and effectively do it all again (and again)! The most common regret a couple has after their wedding day is not having it filmed. We’ve heard it so many times but by then it’s too late. Perhaps spend less in other areas so the budget can allow for it but our advice make video a priority because you’ll be so happy after the wedding day that you did! 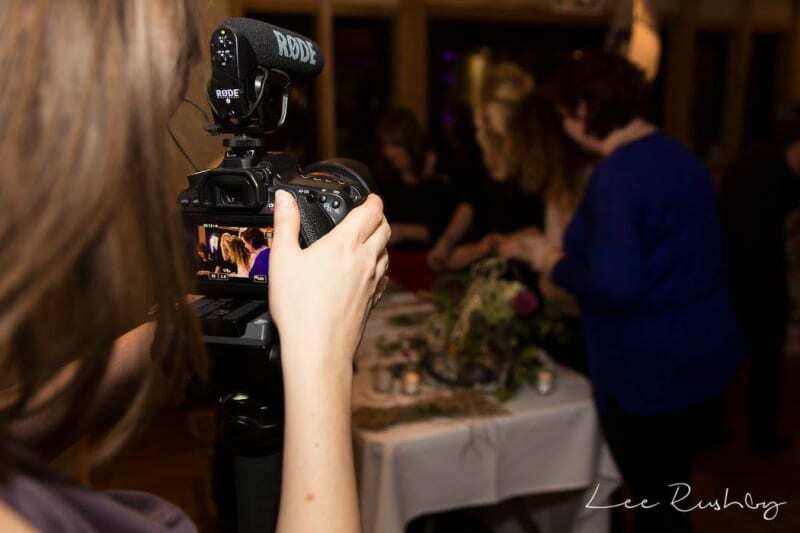 Still unsure on wedding videography? Message Rachel at Veiled Productions now to find out more. Find Videographers that suit your style and wedding by heading to Bridebook’s Wedding Videographer search now.